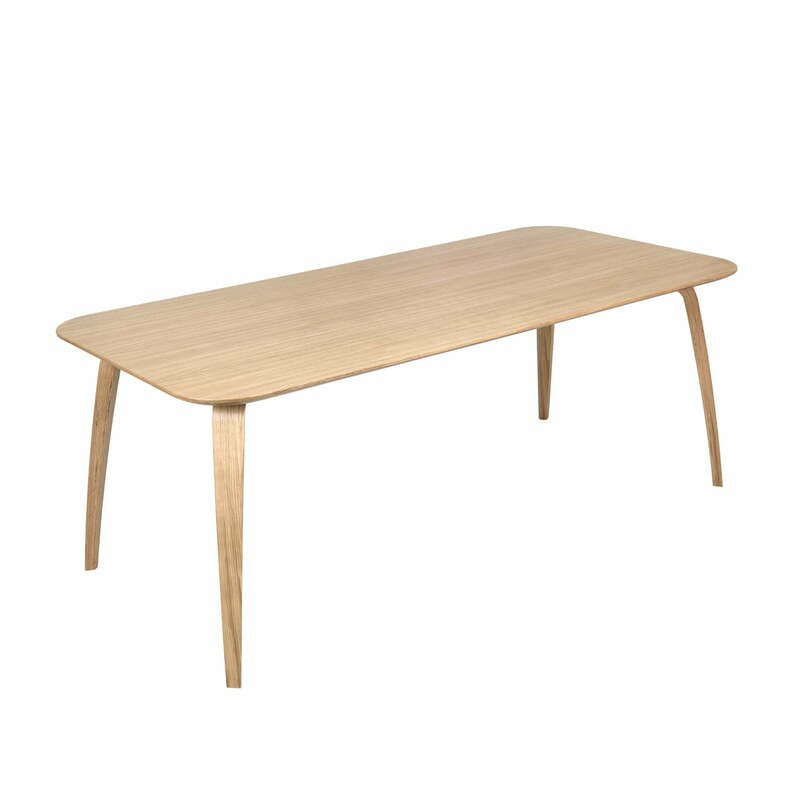 The Gubi dining table features a minimalist design, that fits perfectly into any modern interior. An exciting contrast arises from the natural wood and the slender shape. The designer duo Komplot designed the dining table for Gubi without any unecessary details. The soft lines of the tabletop are held up by the legs that melt into the surface. 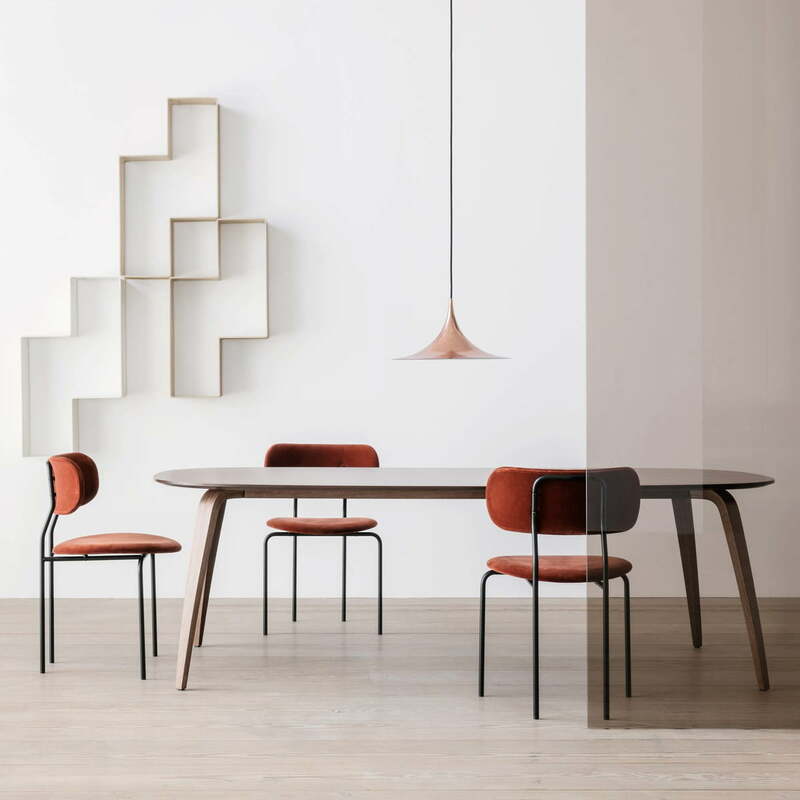 The clear, contemporary design is harmonious with the natural wood material out of which Gubi produces the dining table - a typical feature of Nordic design. The veneer production allows for an unusually slim shape, which makes the Gubi dining table appear very light. The table is available in various types of wood and colours. Isolated product image of the rectangular dining table 100 x 200 cm by Gubi in oak. The designer duo Komplot designed the dining table for Gubi without any unecessary details. 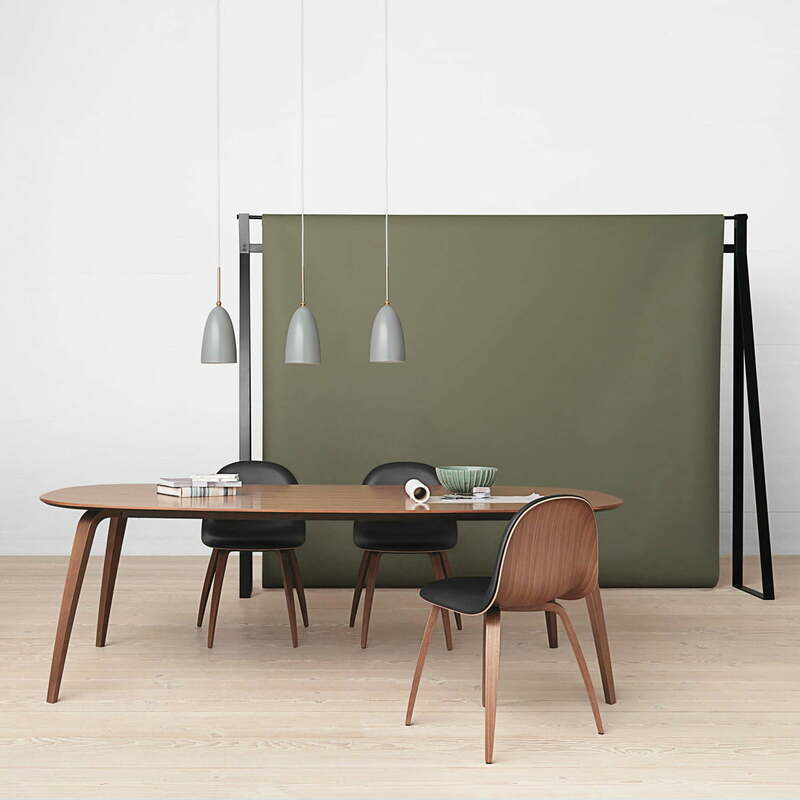 Lifestlyle product image of the Dining Table by Gubi: The clear, modern design is beautifully combined with the natural wood from the Gubi manufacturer - a typical feature of Nordic design. Lifestyle product image of the elliptical dining table 120 x 230 cm out of walnut with the Semi pendant lamp in copper and the Dédal bookshelves by Gubi in white.